Enjoy the convenience of your own home and the luxury of a hotel at Carlton Court’s boutique serviced apartments in London. Whether you are looking for short or long term accommodation, we offer a lot of flexibility during your stay. Our bouquet of luxuriously furnished apartments include penthouse, 1 bedroom apartment, 2 bedroom apartment and 3 bedroom apartment. Each of our flats come with separate living, dining and sleeping areas for your comfort. If you are still unsure living in a serviced apartments on your next visit to London, we have some compelling reasons to change your mind. ● Opportunity to live like a Londoner: Visiting London is an extremely cultural and personal experience. Staying in an impersonal hotel room will not allow you to imbibe the charm of the city. By choosing Carlton Court as your accommodation partner, you will not just be visiting London, but will be living in the city, even if it is for a short while. Our apartments are closely situated to the city’s business hub, local places of interest and tourist attractions. ● Live by your own rules: When staying at a hotel, you will have to live by someone else’s agenda. For instance, breakfast will only be served within 8am to 10am, you will have to leave the room at a certain time for housekeeping and so on. 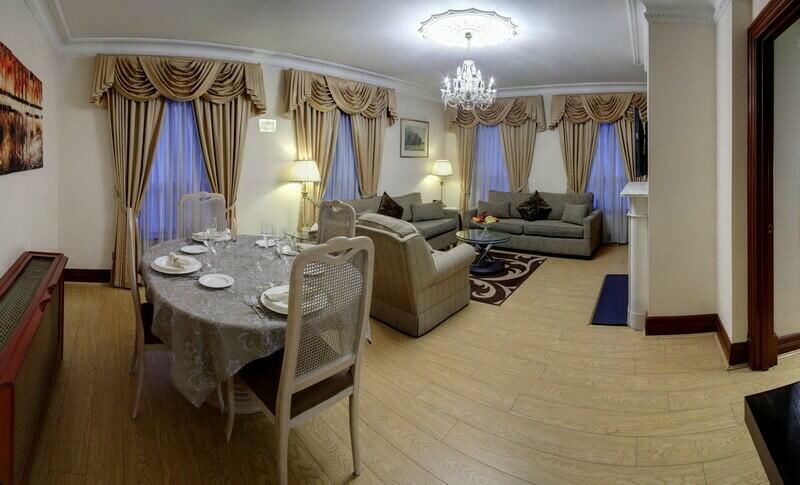 With our self-catering short stay apartments in Mayfair, you get to decide what you want to do. You can lie-in all day, call your friends over, cook, watch TV or do anything that you want. ● Enjoy more space and comfort: Even though hotels can be luxury, the only true privacy is the tiny room or bedroom. At Carlton Court, we offer you an entire apartment for you to stay in. You do not have to be cramped in a room. You can relax on the sofa and watch TV or set-up your own workstation to work in peace. So, what are you waiting for? Get in touch and one of your professionals will recommend the best apartment that fit your needs.